From the abstract material to the abstract imagery and then to today’s abstract creation, Dang Chaoyang can be seen as approaching a “spiritual purification”. The dark and deep color gamut reveals a faint bright color, implicating a spiritual direction that the artist tries to seek along with the viewer. 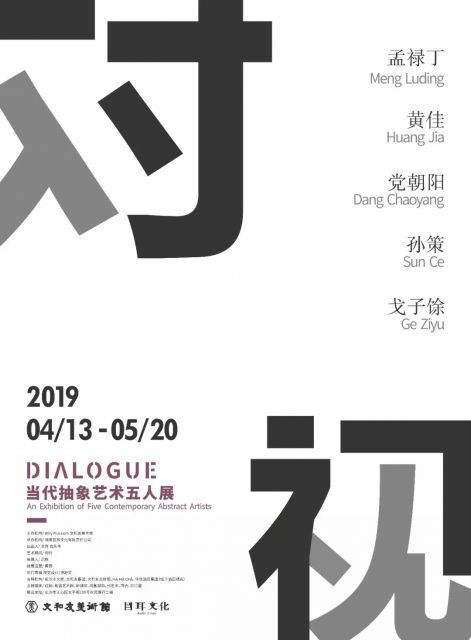 Ge Ziyu’s creation concerns more about the visual effects of “something” in various physical forms, applying the intense colors or creating a deep illusion, allowing “something” to reach his imagination of the universe and showing his imagination of infinity and eternity. The five artists’ explorations of concepts, emotions, thoughts and language have presented such different results. It is enough to show that even under the shackles of theoretical discourse, each individual artist can extend the boundary of abstract art. In the current state of poetic history, dialogue with history and contemporary will be the ordinary state of the five artists. Courtesy of the artists and WHY Museum.